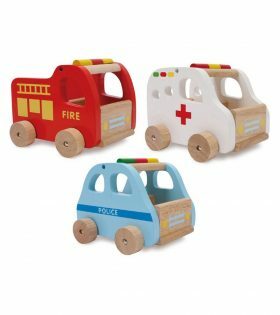 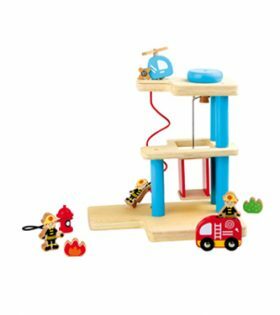 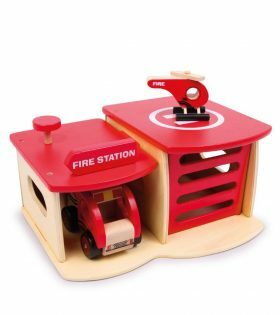 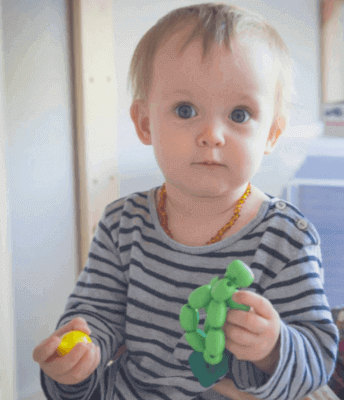 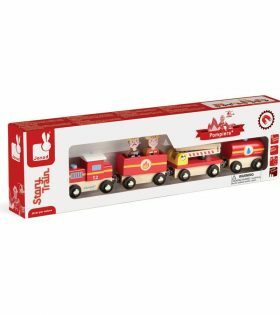 This solid made and multi-coloured fire engine with it?s 2 little figures is an exciting toy for children. 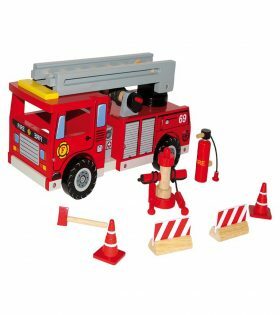 Spinning ladder and transport basket can be gradually engaged. 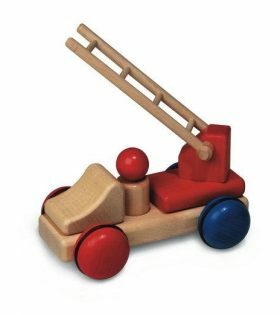 The axes are solid even for higher forces! 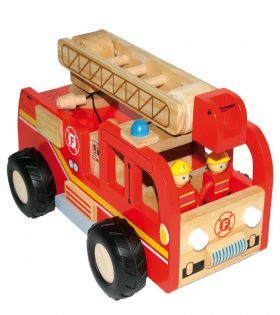 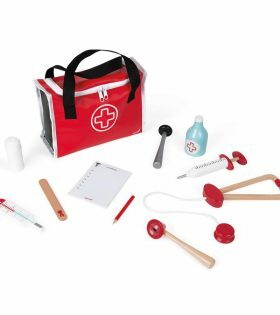 A bright-red fire engine with various accessories and a removable ladder and roof.